Play the # 1 Rated 50 Lions Free Pokies by Aristocrat Slots Here. 50 Lions is an interesting slot from Aristocrat Technologies that takes you on a tour of wild Africa in it’s theme. It is about wild animals that include lions, zebras, giraffes and other wild animals that are found in the Serengeti. It has 5 reels, 50 paylines and nice bonus features that include scattered rewards and free spins. The symbols that you will come across during game play include a zebra, a lion, a giraffe, the Serengeti landscape, a flower and two tribal women. You will also come across high card values 10, J, Q, K and A. This slot game features a bright interface that is orange and black in color. It depicts the sunset in the African Serengeti. You will notice that 50 Lions slot is a low variance slot because the stacked symbols usually account for a larger number of the small payout wins. But the game definitely makes for more winning opportunities. If you are used to the 25 payline format slots, you will have twice as many winning opportunities per spin. The game has an ambient soundtrack that will keep you entertained and motivated as you play on. The following are the special features in the 50 Lions online slot. Lion Wild Symbol: As you may have already expected, the lion is the wild symbol in this game. It appears randomly on single slots in the base game and turns into a stacked wild during the free spins bonus game. It can substitute for all other symbols in the game to form winning combinations except for the wild flower scatters. Wild Flower Scatter Symbol: The wild flower is the scatter symbol in this slot game. It appears on the first, second and third reels and can give you a total of 10 free spin simultaneously. Extra Diamond Symbol: Apart from the Lion wild symbol, the developer has thrown in the game the extra diamond symbol that also acts as a wild symbol to improve your winnings in the free spins bonus round. It also becomes a stacked wild and gives you a chance of winning very big bonuses. You can trigger another round of free spins if you manage to get 3 wild flower symbols. Free Spins Bonus Feature: This feature will be triggered when you get the wild flower scatter symbols on the first, second and third reels. 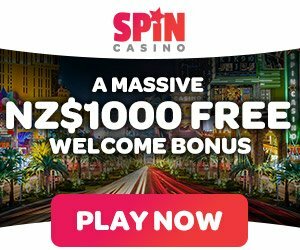 You will get a total of 10 free spins that are not multiplied. The free spins round can be re-triggered for an extra 5 free spins. The coin bet range when playing 50 Lions slot is between $0.01 and $4. You can bet a maximum of one coin per line. 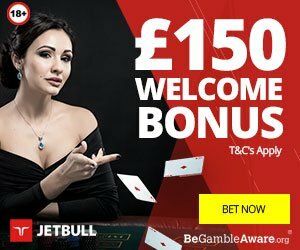 The maximum amount that you can bet with per line is $200 and the top jackpot is 1000 coins or an equivalent of $4000 that will be offered when you get five Lion symbols on a payline. The slot features an autoplay feature that you can use to play the game automatically and a gamble feature that you can use to double your wins. 50 Lions is an enjoyable pokies game that you definitely want to give a try either for free or real money at select online casinos. The wild Africa theme and interesting game play are some of the things that make it a standout slot. It also includes bonus symbols that can trigger free games and other special features and give you a chance of winning more through each spin. 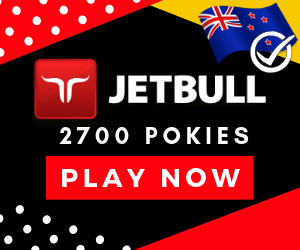 This pokies game has been a most loved slot machine in New Zealand casinos for over 15 years.